Each season boasts unique flavours and ingredients. 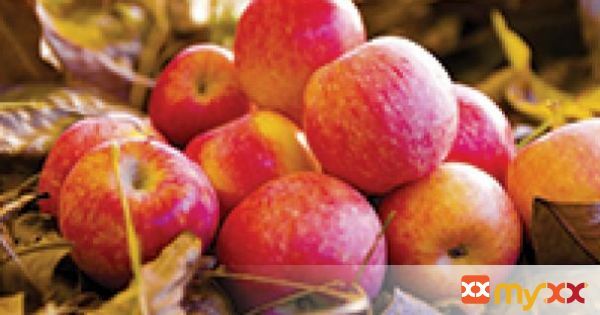 The fall harvest, in particular, is known for apples, and Canada is known for its multitude of varieties – from sweet to tart. Each type of apple offers a distinct taste and characteristic, especially when it comes to cooking. If you don't have apples on hand, substitute an apple beverage in your cooking, such as apple lager, which is another easy way to bring this sweet, crisp flavor to life.Cider as well, is spiking as the fastest growing beverage in Canada and its flavor evolves throughout the harvest season depending on the variety of apples available. This delicious recipe incorporates the fresh and crisp flavor of an apple beverage into a seasonal vegetable pasta dish. 2. In a lasagna dish, mix the garlic, onion, pepper and squash. Coat with olive oil, season and sprinkle with Chipotle pepper. 3. Roast in the oven for 20 minutes or until the diced squash is tender and golden. 4. Spread the slices of pancetta on a baking sheet overlaid with parchment paper. Bake in the oven until crispy. Set aside. 5. In the interim, cook the pasta in accordance with the instructions on the package. Strain and set aside. 6. Pour the Cider into the pan used to cook the pasta and reduce by a third. 7. Add the cream and let simmer for 5 minutes. 8. Add the cooked pasta to the sauce and stir to coat. 10. More information about apple-flavoured beers is available at facebook.com/MolsonCanadian.